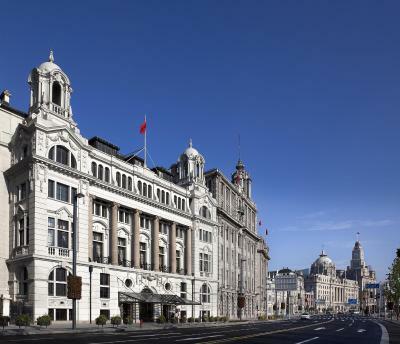 Lock in a great price for Waldorf Astoria Shanghai on the Bund – rated 9 by recent guests! The staff were so helpful and excellent. Thanks so much especially to Camille and Antonia! Elegant decorations. Classic styles. Beautiful marble and wood. Fantastic view. Had an incredible stay at the Waldorf. Exceeded everything beyond our expectations. The bed was very comfortable and the room and bathroom were spotless. They served a breakfast buffet every morning that included a wide variety of Chinese and Western foods. Delicious! We will definitely be staying here our next trip. 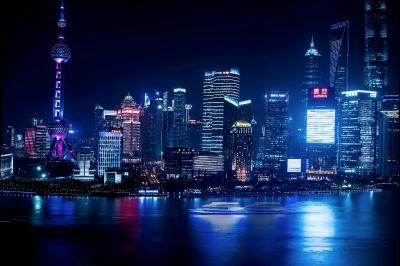 The view from the room is just perfect, you can see the Pudong side with all the main buildings. The room was clean, housekeeping did a great job. Checking out was easy as well. Breakfast food items cooked well and was tasty. All in all, if you like the view, this hotel is pretty good at that. Very fine bedsheets. I’ve never experienced such luxurious feel - thick enough but very smooth sheets, firm beds but very soft tops, pillows were just right! 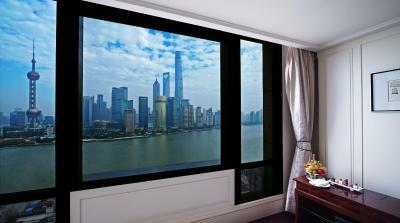 Beautiful view of the bund with large windows uninterrupted by window frames. Decor inside hotel brings me back to 1920s. 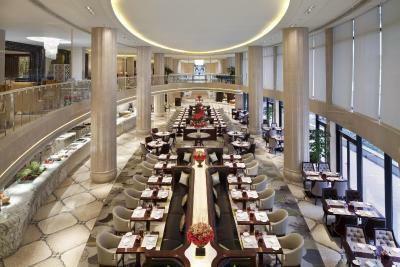 Breakfast selection was not better than other 5-star hotels , but the attentive staffs were superb! 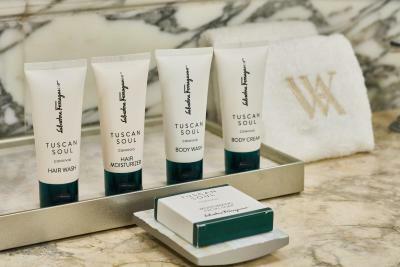 Toiletries from Ferragamo made the stay feel even more luxurious. Auto toilet may be common in Japan, but not elsewhere in Asia.... Waldorf Astoria’s choice definitely added some extra points here. 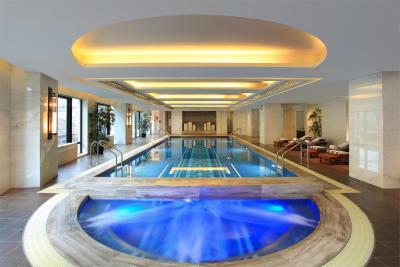 Great location, in the heart of bund within walking distance to famous attractions & streets. I got river view room with brillant bund view. Excellent room, very equipped & nice decorations. The room with its two queen size beds fits my family including my childs . Good staff & very helpful. Hotel facilities are comfortable & super clean. Free WiFi never worked call the front desk multiple times and no one was able to do anything. Unable to keep or make appointment due to the lack of WiFi and u know China language was the main issue. Everybody speaks english (which is a miracle for china)!! The food is great, room service and breakfast buffet both were amazing - in terms of service, taste and food presentation. Breakfast buffet's view is nice with an artificial waterfall (or was it a fountain? I cant remember). The service is speedy and the variety of food is great. 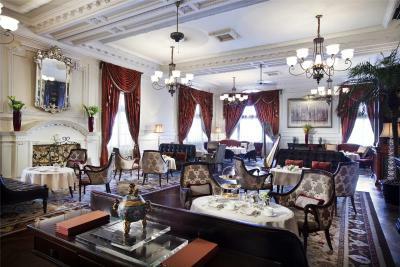 Tea time is nice & cozy - regardless of being overlooking the restaurant where the unpleasant smell comes from. 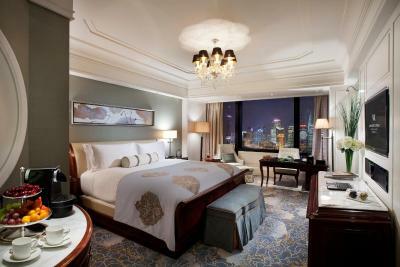 Compared to another 5 star hotel we stayed in on the Bund , Waldorf Astoria wins! 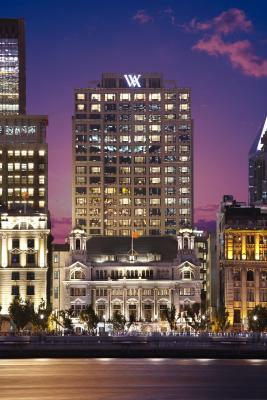 Waldorf Astoria Shanghai brings elegance and glamour to the Bund with its luxurious rooms, fine dining options and True Waldorf Service. 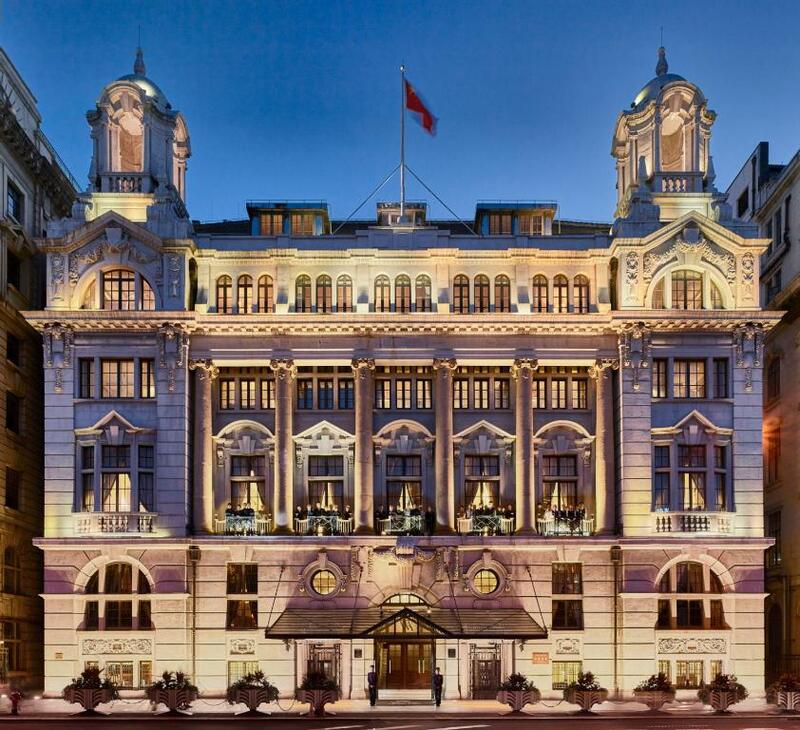 The lovingly restored Shanghai Club built in 1911, with its neo-classical style and architecture, connects to a modern tower at the back, which houses more rooms and suites. 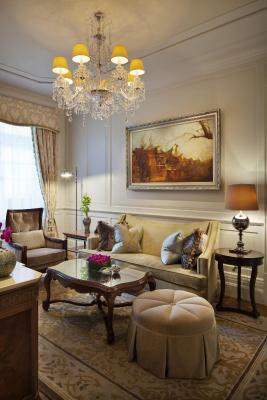 Blending old-world charm with a modern touch, rooms include a flat-screen cable TV, Nespresso machine and free Wi-Fi. Marble-finished bathrooms have double vanities, a bathtub and are stocked with Ferragamo amenities. A personal concierge will also be furnished to anticipate your every need, even before you have arrived and after your stay. 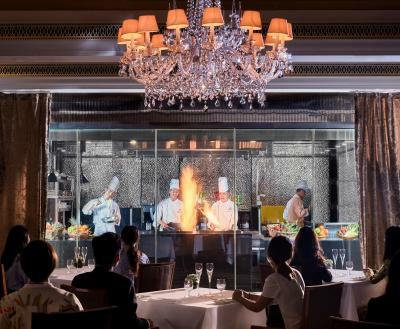 A destination for fine dining, Waldorf Astoria's Pelham's presents modern French fare, and Wei Jing Ge indulges your appetite for regional Chinese cuisine. 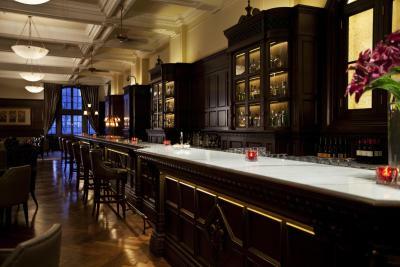 The historic and award-winning Long Bar features sweeping views of the river and an extensive drink menu. 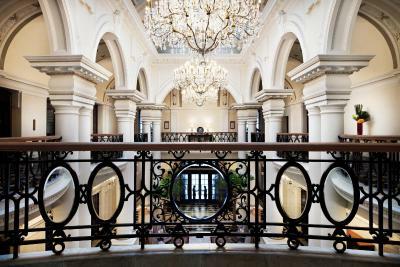 Relaxation awaits at the hotel's heated, indoor pool and with a menu of restorative treatments at the Waldorf Astoria Spa. The tranquil Library Lounge provides free coffee, tea and snacks during the day. 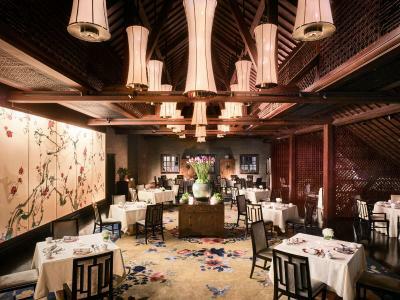 This waterfront property is just a 5-minute drive from Nanjing Road or Yu Garden and a 10-minute drive from People’s Square. 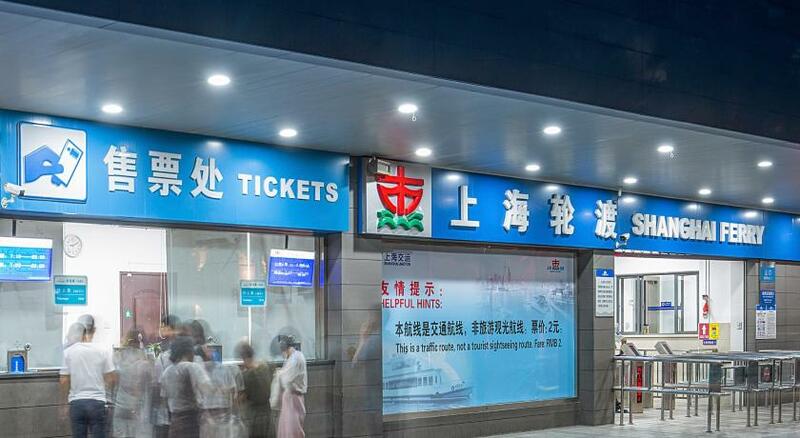 Hongqiao International Airport is 9 miles from the hotel. When would you like to stay at Waldorf Astoria Shanghai on the Bund? 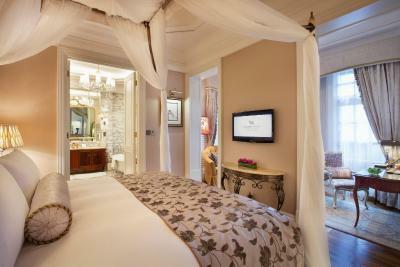 This deluxe room features a plush king bed, heated floors, and a flat-screen TV. In the modern tower, this room also includes a walk-in closet, work area and Nespresso coffee machine. The marble bathroom has a separate bathtub and shower, and is stocked with Ferragamo amenities. 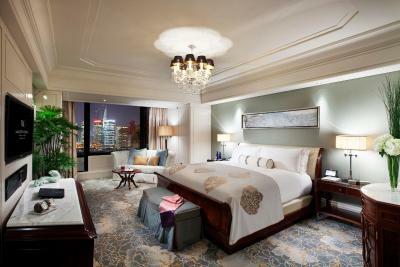 Featuring views of the Bund and the city skyline, this room includes a large flat-screen TV, floor heating and a Nespresso coffee machine. It also has a walk-in closet and work area. In the new tower, the marble bathroom has a separate bathtub and shower, and is stocked with Ferragamo amenities. 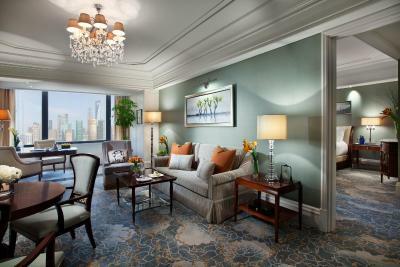 Housed in the restored historic building, the Waldorf Suite features the Waldorf poster bed and a large marble bathroom with luxurious claw-footed bathtub, separate shower and Ferragamo amenities. 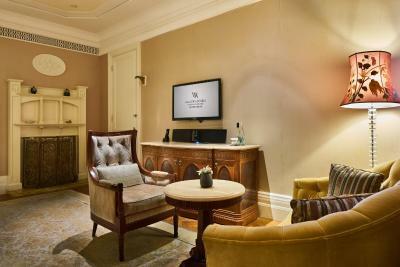 This suite also includes a separate living area and provides a flat-screen TV, heated floors and Nespresso machine. 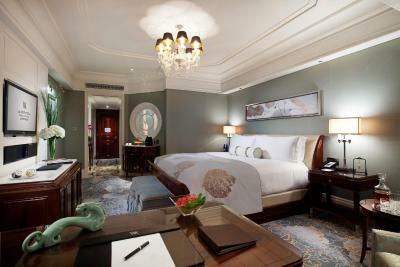 These Deluxe rooms have 2 queen-sized beds and offer scenic views of the Bund and the city skyline. 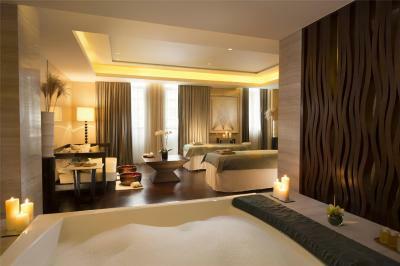 They also include a marble bathroom with double vanities, a separate bathtub and shower, as well as a TV in the mirror. Other features include a flat-screen TV, Nespresso coffee machine and heated floors. Featuring 2 queen-sized beds, rooms include a marble bathroom with double vanities, a separate bathtub and shower, as well as a TV in the mirror. Other features include floor heating, a Nespresso coffee machine, walk-in closet and flat-screen TV. This modern suite features a separate living area and spacious work area. The bedroom has a king bed. 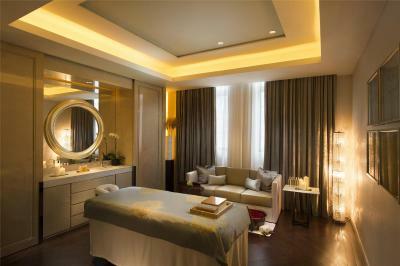 The suite also includes a marble bathroom stocked with Ferragamo toiletries, an LCD TV and heated floors. 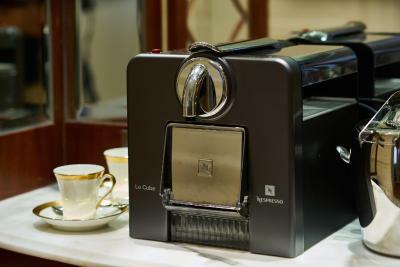 Guests can also use the Nespresso coffee machine. 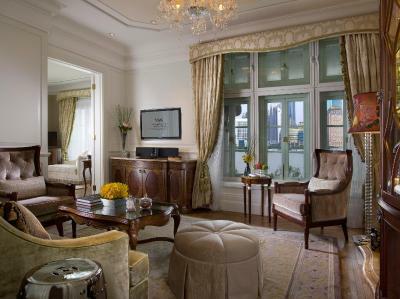 Guests can enjoy sweeping views of the Bund and the city skyline from this luxurious suite, which features a separate bedroom with king bed, a living area and a marble bathroom with double vanities and a bathtub. Other features include heated floors, a walk-in closet and a flat-screen TV. This luxurious and spacious suite has heated floors and a walk-in closet. Features include a flat-screen TV in the separate living room, a dining area and work space. The marble bathroom has double vanities, a bathtub and separate shower. There is also a TV in the mirror. 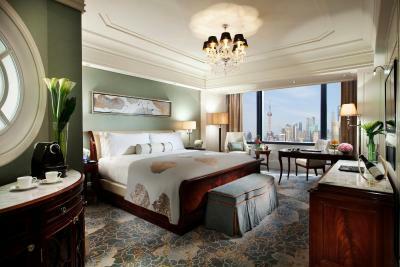 Rooms with views of the city skyline and busy Shanghai Old Street feature plush bedding, a flat-screen TV ans spacious work space. 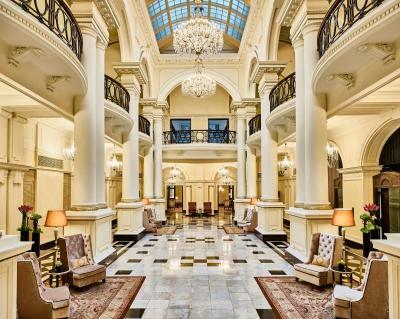 Other features include heated floors, a walk-in closet and a large marble bathroom. 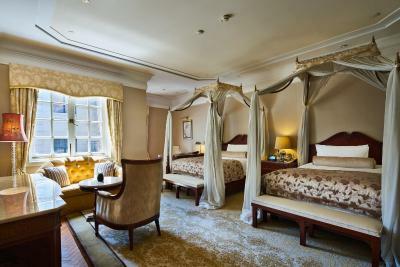 Providing views of both Old Shanghai Street and the city skyline, rooms are fitted with 2 queen-sized beds, a walk-in closet and a flat-screen TV. The marble bathroom comes with double vanities, a separate bathtub and shower, as well as a TV and a mirror. A Nespresso coffee machine is provided. 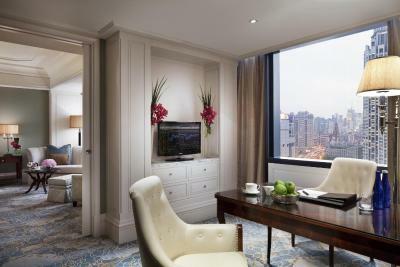 In the restored heritage building, this deluxe suite features panoramic views of the Bund and the city skyline. It features a Waldorf poster bed, separate living and dining areas, as well as a walk-in closet. The marble bathroom comes with a shower, bathtub and Ferragamo toiletries. A Nespresso coffee machine is provided. 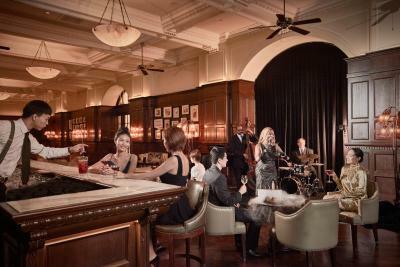 House Rules Waldorf Astoria Shanghai on the Bund takes special requests – add in the next step! One older child or adult is charged CNY 408 per person per night in an extra bed. 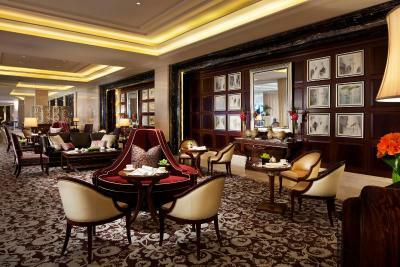 Waldorf Astoria Shanghai on the Bund accepts these cards and reserves the right to temporarily hold an amount prior to arrival. Please note that smoking is strictly prohibited throughout the entire hotel starting from 1 March, 2017. The staff who handled our bill when we checked out. She wanted to keep both slips (the first one at the amount of CYN13,000 as deposit with my signature at checking in and the second on at the amount of CYN9,570 which was the exact room charge for our total stay.) She made me signed the second one which I did as I thought she would return the first slip with my signature or at least tear it off - as the other hotels did -but she did not. I had to spend time explaining. It was annoying incident. The guys at the concierge desk, and also those who were at the entrance door. They were all good and helpful. They were indeed attentive and cheerful. Big thanks to you guys. It was absolute luxury - the bed was the most comfortable bed I have ever slept in and the Heritage Suite was just Incredible ... we loved every moment of our stay. The hotel feels a bit old and needs some renovation works. Wifi can be also improved. 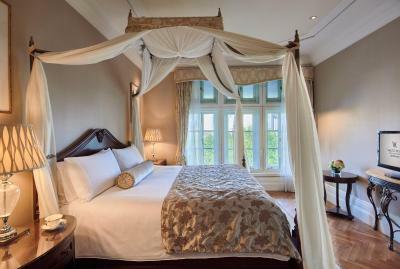 The location, the staff, the decoration in the rooms and the view from the room were very good. 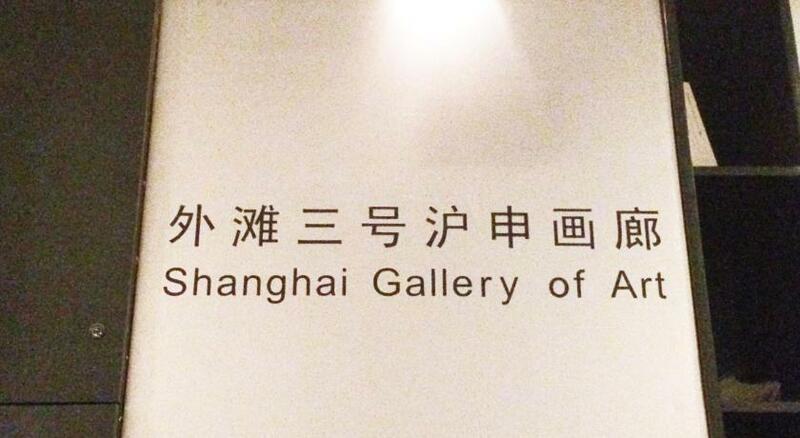 We had a wonderful time in Shanghai and enjoyed our stay at the hotel. We didn't buy the breakfast buffet package as we are not a big eater. But we ate at the Chinese restaurant. Food was very tasty. The location of the hotel is excellent very easy to get around. 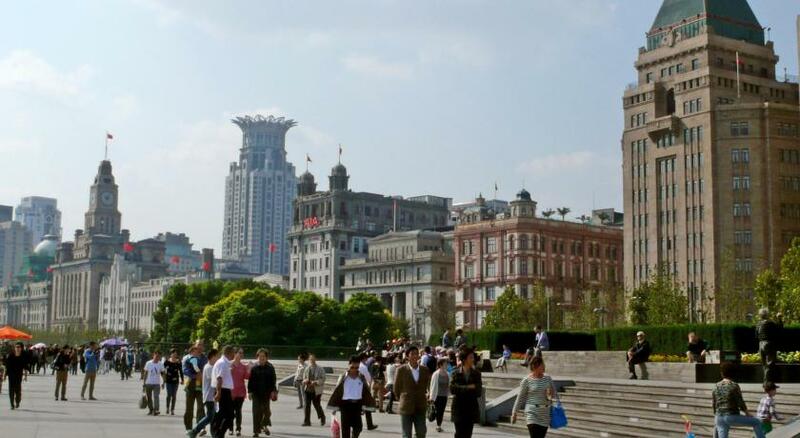 So close to the Bund , Yu Garden and many good restaurants nearby. 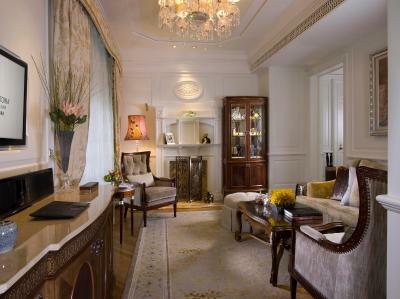 Doesn’t worth this price by compare with other hotel like W or banyan tree. 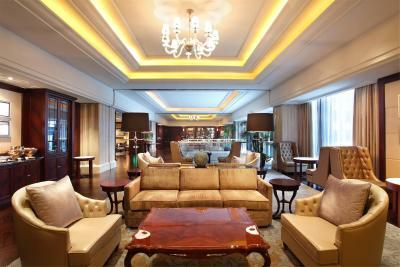 Members of the Waldorf Astoria Shanghai team were extremely rude and unhelpful. Especially Mei from the front desk. She was the definition of our disappointment in your esteemed hotel. dinner restaurant very bad .